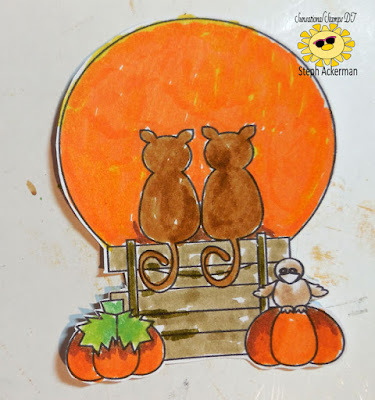 Hi everyone, I've got a new post up for Sunsational Stamps. This month we are getting ready for Fall and Halloween. Be sure to check out the store for some fun stamps perfect for the season. Today, I've created a card with Cats on a Fence. I began by coloring the image with markers and inks, blending them together. Then I fussy cut the image. Don't you love all the details? 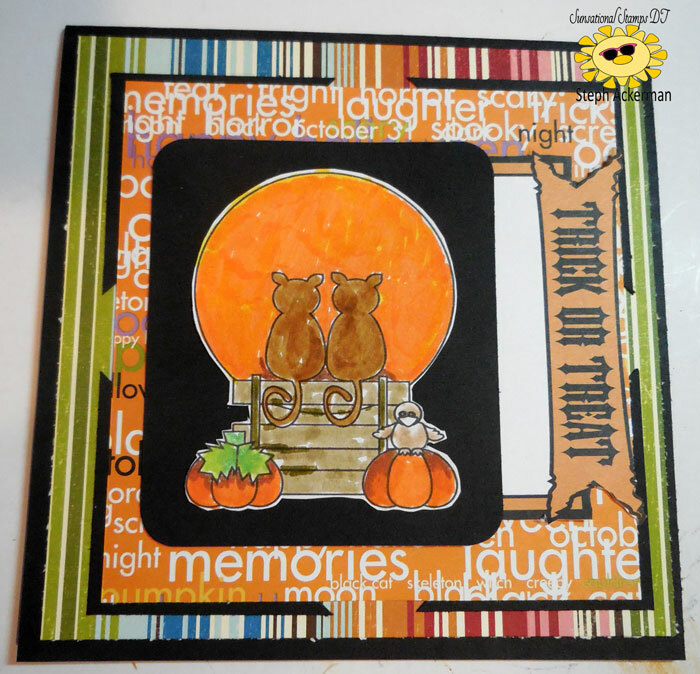 I created a card from black cardstock then added striped paper on top. I wanted the image to stand out so I placed it on a black panel which I then added to some Halloween paper that I edges with black cardstock. The Trick or Treat tag was slipped behind the panel.